Are you suffering from the can’t hear people on discord issue? Yes! Don’t worry! We are here for our beloved readers. This article is rich with the solution to how easily you can fix can’t hear people on discord issue. Gaming is always the first choice for most Android smartphone users. Google Play store is enriched with thousands of games. Moreover, games like Pubg, Battle Royale, Fortnite and more have made a great success. These games are multiplayer games. Work can be performed at best with teamwork. The same rule applies to multiplayer games. Inbuilt chat rooms let players interact with the other players in their team and globally as well. Sometimes, high ping situations and server rack result in bad chatting in-game, and that also affects ongoing game badly. To overcome the issue, now people are using Discord to have voice chat with their team players. Are you facing a problem like you are not able to hear people voice on discord? There might be multiple reasons for this issue. It might be occurring due to wrong audio settings. If you are Mi user, then Download Mi Unlock Tool Reset/Remove Mi Password. If you are using Discord voice changer that change human voice to the robot then sometimes it may cause some problems as well. Don’t worry! Below we have provided the working solutions to fix this issue. Stick to the below article to get the issue resolved. Recently, we find new options in discord like you get the opportunity to test your mic. Using it, you can reduce background noise by tweaking settings. This will make your voice flawless. This option is best to go straight forward to check and analyze if you can’t hear people on discord. If the mic is not working, then you can go with troubleshooting your mic option. Still, the issue is not resolved then you can check the prioritizing setup of input and output devices for playback. In case, if you are dealing with different headphones and speakers, then you must prioritize input and output devices for playback. Wrong selected input devices will discourage your way. This issue can let your friend’s voice head over to wrong output device. 1. First head over to volume icon on your PC’s screen. 2. Now, right click on it then click on sounds option. 3. Here, move to the playback tab. 4. 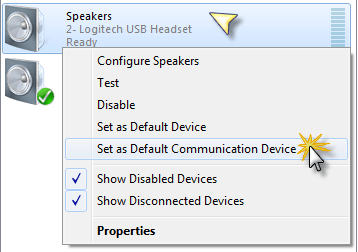 Here, if you want to make headphones as the default devices for output playback, then you can select your headphone. 6. That’s it. You can select any device you want and prioritize them accordingly. You can choose and set your preferred method as default. Same as you can move to the recording device section and can use your external mic as a default communication medium. You can also set-up an input and output device in Discord. 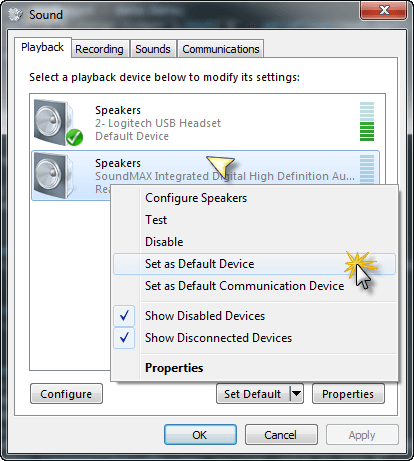 The key functionality is similar to the Windows playback device configuration. This is the main reason why you always choose those devices which are nearby to you so that you can listen to them as quickly and clearly from both your computer and discord. If you are not able to hear the voice of people or people are not able to listen to your voice then might be you are using Mic and headphone separately. 1. First of all, open discord application. 2. Now, look at the left bottom section. There will be a gear icon. Click on it. 3. Open the settings then click on the voice and video setting option. 4. Here, all the settings related to communication and voice will be listed. You have to scroll down to the bottom of the parameters. 5. Here, you have to select your preferred device instead of the default device. Yeah! You have done it. 4. Here, all the settings related to communication and voice will be listed. You have to scroll down to the bottom of the settings. 5. Here, you have to select you to reset voice settings then click on OK for confirmation. Done. 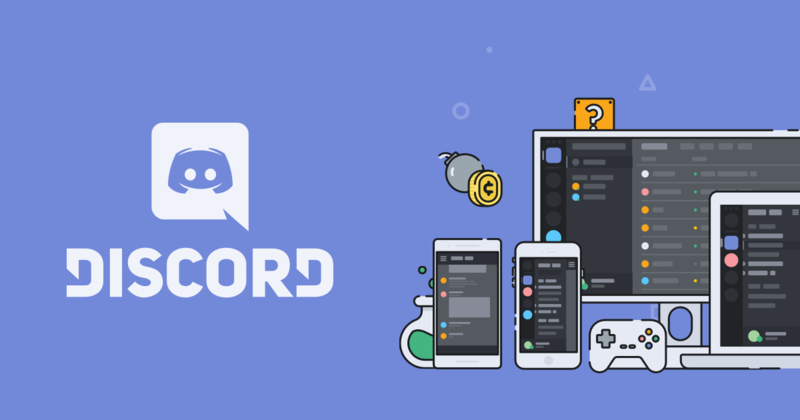 Discord is available for almost all major platforms like Linux, Android, Mac OS, Windows, and iOS. Even, you can use discord’s web version, and it works the same as the application software. You need to open the web browser and head over to the Discord’s web version. Now, you can start a voice chat with your friends. So, i hope you successful fix can’t hear people on discord problem. Comment below if you have any problem in this guide. We will solve your problem ASAP. Make sure to share this important article with your friends. TechVictoria! !